Buy in bulk and save! 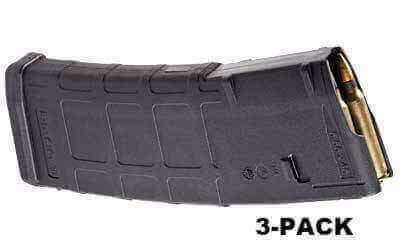 This includes 3 black M2 30 round MOE Pmags. This product is restricted in the States of California, Colorado, Connecticut, Hawaii, Maryland, Massachusetts, New Jersey, and New York, as well as Washington D.C., and may be restricted in other local jurisdictions. It is the customer’s responsibility to be aware of and abide by all applicable local laws.